By growing sage plant on your windowsill, you can enjoy this savory herb year-round. Its strong aroma and flavor make it one of the essential seasonings for hearty dishes. This is the common garden sage and is a hardy perennial shrub. Its narrow, gray-green leaves have a pebbly, fuzzy texture. It's a good idea to grow a dwarf sage variety indoors -- this plant can get too big for the windowsill. Spikes of violet-blue flowers will appear on mature plants in early summer. Some varieties have purple, golden or variegated leaves and may have purple, red, pink or white flowers. 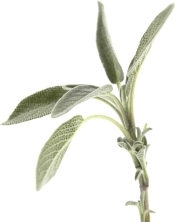 Give sage herb at least 6 hours of direct sunlight during the growing season to help it grow lush and full. Move the container outdoors in spring and summer, if you want. Growing sage under artificial light works well, too. Some kitchens have fluoresent lights above the counter -- an ideal spot for your culinary herbs. Don't know how to grow sage? It's easy. 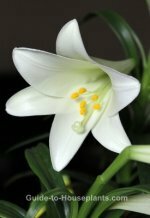 Native to the northern Mediterranean coast, it prefers a sunny spot and well-drained soil. 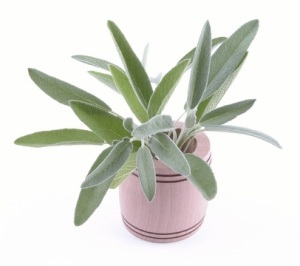 Sage plant is easily killed by overwatering, so use a container with a drainage hole. Seedlings and young plants should be kept slightly moist, but sage is drought-tolerant once established. Wait a year before harvesting sage to allow your plant to get established. After the first year, snip fresh leaves as needed. Prune it back after flowering to keep it from getting too leggy. You can cut mature plants back by half in spring or early summer, if you want -- you won't hurt the plant. Several varieties are available, but I recommend the dwarf varieties for growing sage indoors. If another type tickles your fancy, buy it. You can prune it back harshly after the first year to keep it small. Suggested varieties: The dwarf cultivar S. officinalis 'Compacta' reaches only 10 inches high. Smaller leaves, but same sage flavor. S. elegans 'Dwarf' is a smaller variety (12 in tall) of pineapple sage with a wonderful pineapple aroma. Light: Direct sun. Turn the plant once in a while because it will tend to grow toward the light source. 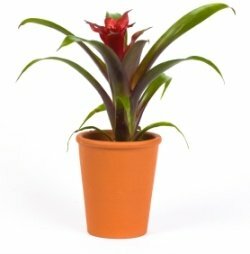 If you use indoor plant lights, keep the light 6 in (15 cm) above the plant and leave it on for 14 hours a day. Water: Water thoroughly and allow top of soil to dry out between waterings. Sage will not tolerate soggy soil. Temperature: Average to warm 60-80°F/16-27°C. Soil: Use a fast-draining potting mix, such as cactus mix. Or, use 2 parts all-purpose potting mix with 1 part sharp sand or perlite. Fertilizer: Feed monthly with herb fertilizer. Propagation: Take stem cuttings in spring or divide older plants in spring or fall.